Hazrat Ahmad Faruqi Mujaddid Alf Sani was born at Sirhind in 1563. He was initiated in the Naqshbandi order by Hazrat Baqi Billah R.A., He was acclaimed as the Mujaddid or the Reformer of Islam whose advent was expected after Islam was a thousand years old. Many miracles are attributed to him. His greatest miracle is that he saved Islam from the heresy of Akbar’s ‘Din llahi. On accession, Jahangir summoned him to the court, and although he attended the court he refused to bow before the emperor. Jahangir imprisoned him in the Gwalior fort. He was released after three years when Jahangir himself became his disciple. The great saint died in 1625, and was buried in Sirhind. His mausoleum is an important place of pilgrimage in the Indo-Pakistan subcontinent. Iqbal visited the shrine in 1934. in Bal-i-Jibril there is a poem which Iqbal wrote after he had visited the shrine. He whose burning soul warmed Islam. A voice came from the shrine, the chain of Faqr is closed. The men of insight are unhappy with the land of the Punjab. Iqbal was critical of Sufism of the common type [Khanqahi] with its negative approach to life. 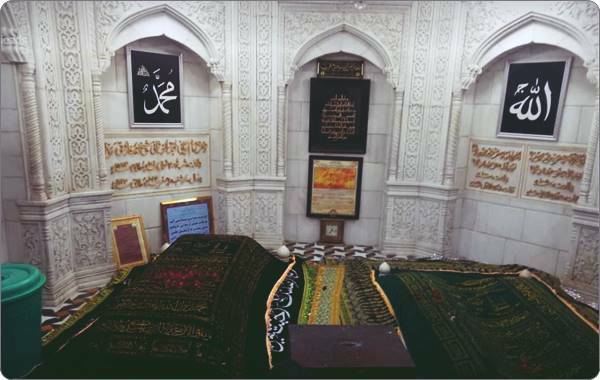 Iqbal admired Mujaddid Alif Sani because he gave a positive orientation to Sufism. In his lectures on ‘The Reconstruction of Islamic thought* Iqbal has observed that whereas ordinary Sufism stood for simply seeing the vision, the reform movement of Hazrat Mujaddid Alif Sani stood for being something. According to Hazrat Mujaddid the ultimate aim of the ego is not to see something but to be something. According to Iqbal who agreed with Mujaddid’s way of Sufism it is in the ego’s effort to be something that it discovers its final opportunity to sharpen its objectivity. The end of the ego’s quest is not emancipation from the limitations of individuality; it is on the other hand more precise definition of it. The final act is not an intellectual act, but a vital act which deepens the whole being of the ego, and sharpens the will with the creative assurance that the world is not something merely to be seen or known through concepts, but something to be made and remade by continuous action.